Arrival at Delhi�s international airport. Our officer will receive you with warm welcome and assist you to transfer to the hotel. Early in the morning you will be transferred to railway station. Board train to Haridwar. On arrival in Haridwar our representative will receive you and assist you to drive to Rishikesh. Check-in to the hotel. Get relaxed for the day. Enjoy the whole day at Rishikesh, in the serene surroundings of the Himalayas. Places to be explored include temples, Ganga Ghats and Ashrams. After breakfast drive towards Haridwar. 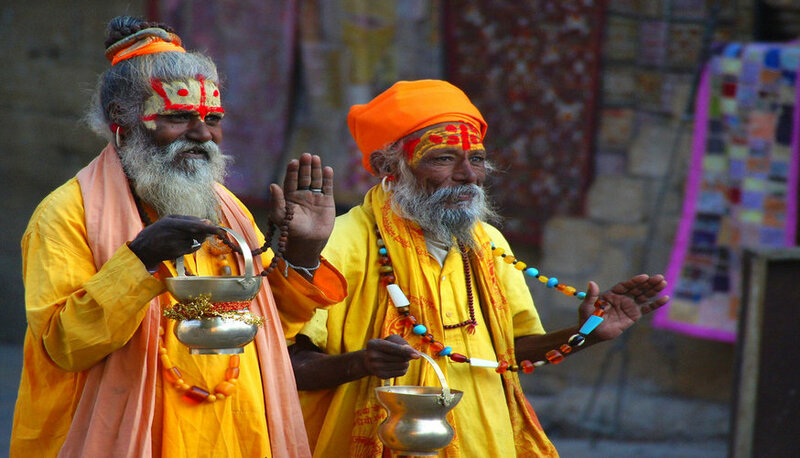 Haridwar is considered as one of the holiest Hindu pilgrim centers in India. The main attractions at Haridwar are the Ganga Ghats, temples and Ashrams. Visit Har Ki Pauri. In the evening you will be transferred to railway station. Board train to Varanasi. Overnight journey in the train. Arrive in Varanasi in the afternoon. You will be transferred to the hotel. Get relax for the day. In the evening you will be taken to the Ganga Ghats to watch evening Aarti (Hindu ritual). Early morning, you will be taken for a boat ride on the Ganges. It is a mystical and spiritual experience as you watch people offering water to the Sun God and devotees taking holy dip in the Ganges. Later in the day a city tour is arranged covering the Vishwanath temple, the Bharat Mata temple, BHU etc. After breakfast you will be taken for an excursion to Sarnath. Sarnath is the place where Buddha delivered his first sermon to his disciples. The attractions at Sarnath are the Buddha temples, the Dhamekha stupa, Chaukhandi stupa and the archaeological museum. Relax in the afternoon. Overnight stay at hotel in Varanasi. In the morning you will be driven to Allahabad to see the Sangam (meeting point-Confluence of three rivers, Ganga, Yamuna & Saraswati-a mythological river). Allahabad or Prayag is an important pilgrimage center of the Hindus. It is one of the four venues of the "Kumbh Mela". On arrival check into the hotel. Get relaxed for the day. After breakfast, a full day excursion of Allahabad begins, covering Sangam, Allahabad fort, the Ashoka pillar, temples and Ghats. Rest of the day free at your leisure. Later in the evening you will be dropped at the railway station board train to Delhi. On arrival in Delhi you will be transferred to hotel. The whole day is at leisure. Later, in the evening transfer to the International Airport to catch the flight for onward journey. American/Indian Breakfast basis at entire destinations. All other transport expenses like fuel charges, toll tax, interstate tax, parking and driver's batta etc. Driver allowances like meals, lodging, D.A. & T.A . etc. Anything not specified above, Lunch/Dinner, personal expenses like telephone /laundry bills etc. Government of India Service Tax @ 3.5%. The above cost of package is subject to change with the change in the tax structure of the Govt for Hotels/transport/Tour-travel Agents or with increase in fuel prices. We trust you would find the above in order and best to your satisfaction. Please advise you acceptance on above Or if you want to any kind of clarification please do let us know in order to do the needful accordingly. SPECIAL NOTE :: - The given tour program along with the price and other details are just for your information & ready reference. It does not state that the services are blocked /booked. All the reservations and bookings will be processed after the receipt of token advance. Curiosites Tour India tries to book and block the same hotels as envisaged above. In case of non-availability of rooms in the given hotels, other hotels will be given in the same range of price and room category. If sold out position appears, supplement charges would be applicable for higher category of hotels and rooms. Hope above information would meet your requirements. If you have any questions or doubts please feel free to write us back, we will be glad to assist you.